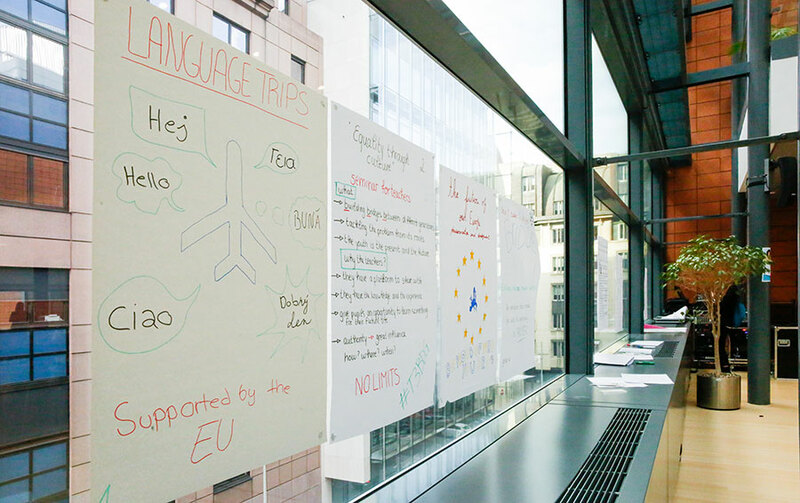 European young people say that greater opportunities for learning languages through travelling, more accessible European cultural sites and preserving our culture through national cuisine and crafts can inspire young Europeans to discover different cultures and gain a better understanding of our common cultural heritage. 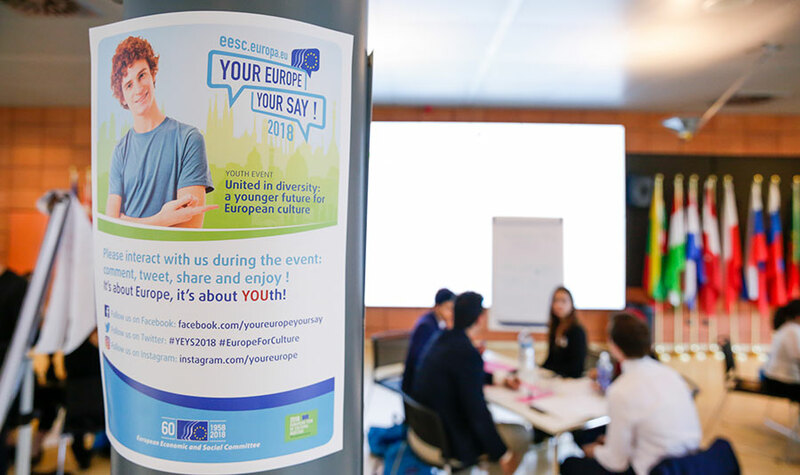 These recommendations to EU policymakers were suggested by 99 students from across Europe, who took part in the annual youth event Your Europe, Your Say (YEYS) 2018. Organised by the European Economic and Social Committee (EESC), the event took place in Brussels for the ninth year running. 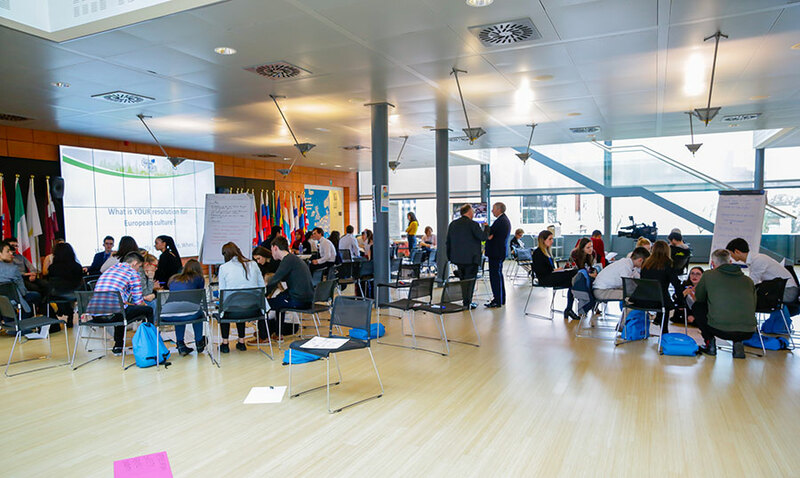 On 15-16 March the EESC welcomed students from 33 high schools in 28 EU member states and 5 candidate countries. As 2018 is the European Year of Cultural Heritage, YEYS also focused on culture and chose the theme United in diversity: a younger future for European culture. The EESC vice-president, Gonçalo Lobo Xavier, emphasised the importance of listening to young people and taking their ideas into consideration. “This incredible project called Europe belongs to everybody, it is built by everybody and everybody has a voice. That is exactly why you are here”, said Mr Lobo Xavier as he welcomed students to YEYS. Experiment with culture. This project aims to bring culture and cultural heritage closer to all people by creating traveling theme festivals and avoiding concentrations of museums in big cities. “It is an ideal we should try to achieve because it is a way we can become richer. It is much more interesting when you open up to other cultures. I am not sure, though, that European culture is tangible and accessible at the moment”, said a delegate from France. European teenagers had a chance to discuss the importance of preserving and fostering our cultural heritage with EESC members, experts and artists. “We cannot build Europe if we do not give our culture and our cultural heritage a more central place. For too long Europe has been built mostly through economy, finance and market,” said Sneška Quaedvlieg-Mihailović, secretary-general of Europa Nostra, an organisation which safeguards cultural and natural heritage in Europe. “These are extremely important tools for bringing economies and societies together. But what is the heart and soul of Europe? It is culture and cultural heritage,” she added. Ms Quaedvlieg-Mihailović also stressed that if Europe has a shared cultural heritage, its citizens have a shared responsibility to preserve it. Meanwhile, the EESC president, Georges Dassis, stressed that many Europeans now have a privileged life, saying that this was not the case everywhere and was not always the case in Europe. “It is really important to encourage young people to take responsibility into their own hands to learn about what has been achieved, but also how to make it better. We have to work together and especially with young people, because without you nothing will happen,” said Mr Dassis. The EESC will ensure that the three proposals which received the most votes feed into the Committee’s recommendations for EU law-makers. In addition, the Secretary-General of Europa Nostra, Ms Quaedvlieg-Mihailović, expressed her interest in having these recommendations presented at the European Cultural Heritage Summit, which will take place this summer in Berlin. Every year the EESC randomly selects and invites 33 schools – each representing a Member State or candidate country – to attend this unique annual youth initiative. As YEYS is becoming increasingly popular, the vice-president, Mr Lobo Xavier has suggested creating a network of past and present YEYS students and teachers. To learn more about YEYS: https://www.eesc.europa.eu/en/agenda/our-events/events/your-europe-your-say-2018.